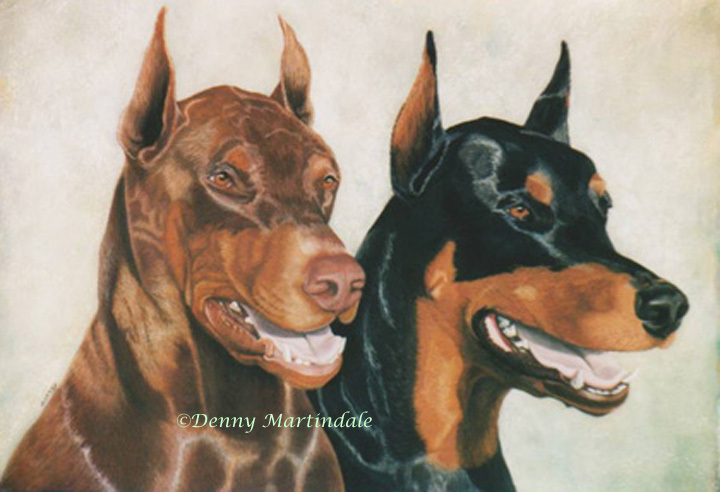 These two Doberman Pinschers were beautiful dogs. Rex was a muscular red male while Micah was a finer boned black and tan female. They were good dogs and very loyal to their owners, my client and her husband. She had me paint this 16" x 20" pastel pet portrait for her husband for Christmas. I just loved how their coats shine!